My sweet tooth knows no limits. I've been known to do significant damage to a box of cookies, or a slice of cake. I'm a certified chocoholic and proud of it! Cookies are my main weakness. A warm, chocolate chip cookie fresh out of the oven will melt my heart into a million chocolate chunks. It's essential that you have a cold glass of milk to wash that sweet treat down with! 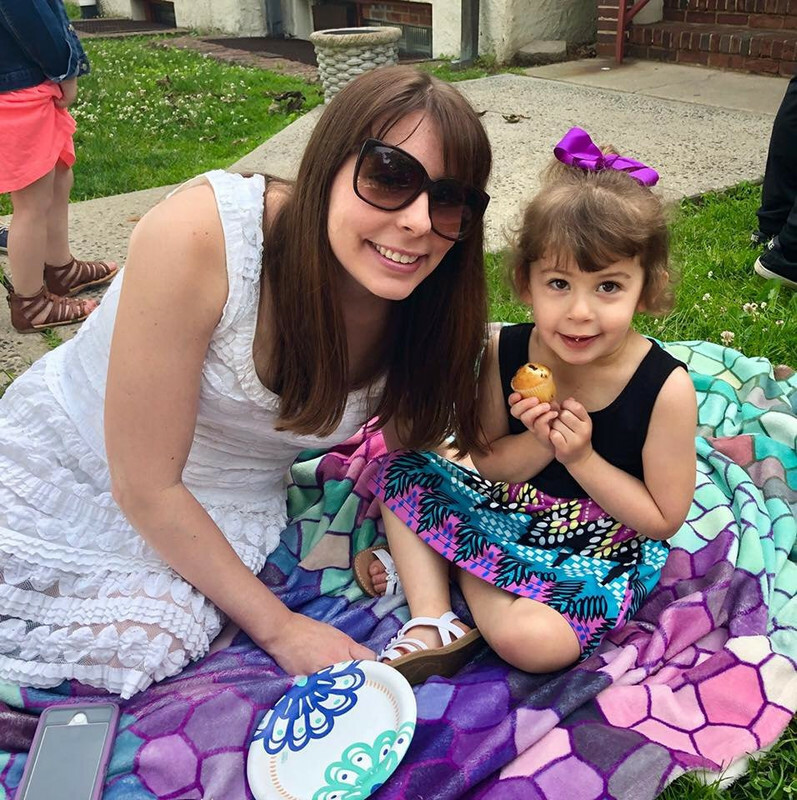 Christopher Street Cookies was created by owner Diana Whittles out of Hoboken, New Jersey. Cookies are Diana's passion and that is evident in her confectionary treats. If you're looking for unique, out of the box cookies, Christopher Street Cookies is your cookie headquarters! Want something salty and sweet? How about trying The Whole Hog Cookie, which is a traditional chocolate chip cookie with maple bacon dipped in milk chocolate. You think that sounds good? It gets better! Diana also adds dark chocolate chips into the mix. It's the perfect balance of sweet and savory. The Frankenstein cookie is brilliantly creative. It is the result of a late night craving for salty and sweet. The cookie combines chocolate covered fritos, potato chips, peanut butter covered pretzels, dark chocolate chips and white chocolate chips. My brain can't even comprehend the amazingness that is the Frankenstein cookie. The best part about Christopher Street Cookies is the fact that you can custom-built your own batch of cookies. You can start with either a chocolate chip, oatmeal, chocolate, sugar or peanut butter cookie as your base. Next, you can add your own custom flavor. There are 100 different flavors that you can add in! Anything you can possibly want in a cookie is available. In the mood for a chocolate chip cookie with gummy bears and jelly beans in it? Done! How about an oatmeal cookie with bacon, kit kats, and rainbow sprinkles in it? No problem! Or maybe a sugar cookie with candy corn, potato chips, and granola is more up your alley. Let Diana create a cookie fantasy, just for you! I was asked what my dream cookie would be. I instantly thought of my favorite sweet flavors; peanut butter, chocolate, and mint. Diana got to work and created me the cookie of my sweet dreams. This was the end result. Look at these decadent sandwich cookies! That is a chocolate cookie with mint chips, and a peanut butter ganache filling. The time that my brain took to process these cookies into going into my stomach was less than a fraction of a second! I couldn't wait to try them. The second I opened the cookies, I was hit with the wonderful aroma of mint. I love any mint flavor in sweets, it's my favorite. The sweet chocolate flavor mixed with the creamy peanut butter and lovely mint was amazing. Upon taking the first dense bite, I was hit with the chewy but soft chocolate cookie. The chocolate cookie was sweet, but not over the top sweet. The treat was very fresh. The essence of mint washed over my tastebuds quickly after, and then I was hit with a wave of peanut butter. The mint was strong and rich, just the way I like it. The flavor of the peanut butter was incredible and the creaminess of it helped to balance out the rest of the flavors. The cookie was utterly fantastic. You would think that all of these flavors together would be overwhelmingly sweet and powerful, but that was not the case at all. Each note of flavor was recognizable, but did not blend together. I was able to distinguish each flavor on its own. Peanut butter and chocolate is a timeless, classic combination that always pleases. The strong mint flavor actually complimented the chocolate and peanut butter extremely well. The mint gave the cookie an extra boost of personality, which I really enjoyed. These cookies were fantastic and I highly recommend Christopher Street Cookies for any of your sweet treat cravings. The cookies are available in Hoboken, NJ but there is delivery to NYC for an extra fee. Why not order a dozen cookies for your next girls' night, or office function? 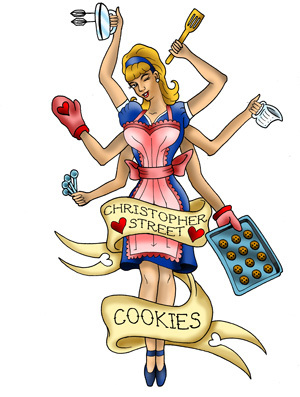 You'll be the talk of the town when you treat your guests to Christopher Street Cookies! Please follow CSC on Twitter and Facebook. *DISCLOSURE* Thank you to Christopher Street Cookies for providing me with the complimentary cookies in exchange for this review. All thoughts and opinions are strictly mine and not based on anythign else.